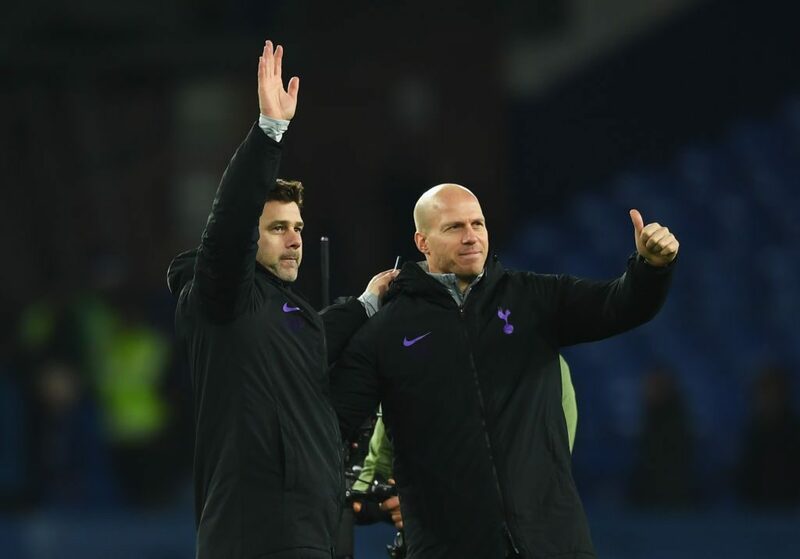 Tottenham Hotspur showed why manager Mauricio Pochettino is a wanted man by thrashing Everton 6-2 at Goodison Park on Sunday to close to within six points of Premier League leaders Liverpool. Spurs have had to cope with the unwanted attention of Pochettino being linked with the Manchester United job following Jose Mourinho’s sacking this week. But they showed no signs of being distracted as they roared back from a goal down thanks to doubles from Son Heung-min and Harry Kane with Dele Alli and Christian Eriksen also on target. Fatigue may yet still derail Tottenham’s bid to win a first trophy under Pochettino with Spurs still involved in four competitions. But with Liverpool facing Arsenal and Manchester City in a top of the table clash in their next three games over the festive period, Tottenham have the opportunity to haul themselves into a three-way title race if they maintain the standards set at Goodison. Kane had chipped into the side-netting and Jordan Pickford produced a fine save to deny England team-mate Kieran Trippier in the early stages. But it was Everton who struck first in a wildly open contest when Theo Walcott stabbed home at the near post from Dominic Calvert-Lewin’s cross. Marco Silva’s men could even have been 2-0 up had Calvert-Lewin not been penalised for a push on Davinson Sanchez when heading home moments later. But Spurs looked as if they could score with almost every attack and were soon on level terms with the aid of a Pickford error. The England number one rushed from his goal but only succeeded in getting in the way of his own defender Kurt Zouma and Son took advantage with a wonderful finish from a narrow angle. Once back on level terms, Spurs were relentless as Pickford denied Son a second but Alli charged into the box to sweep home the rebound to turn the game around. Kane is now just one goal behind Pierre Emerick-Aubameyang in the race for the Premier League golden boot and showed his predatory instincts to side-foot into an empty net after Trippier’s fine free-kick came back off the post three minutes before half-time. Both teams face the least rest time of any Premier League side over the festive period with another three games to come between now and New Year’s Day. However, there was no let up in the pace of the game after the break as Eriksen produced a technically perfect controlled volley from the edge of the box to make it 4-1. Three minutes later Everton’s deficit was back to two as Gylfi Sigurdsson dribbled across the whole Tottenham defence before firing back across Hugo Lloris. Yet, any hope of a fightback was extinguished just after the hour mark when Son’s fine control cushioned Erik Lamela’s pass before he finished through the legs of Pickford. It was announced this week that the South Korean will go to the Asian Cup in January despite already representing his country at the World Cup and Asian Games this year. 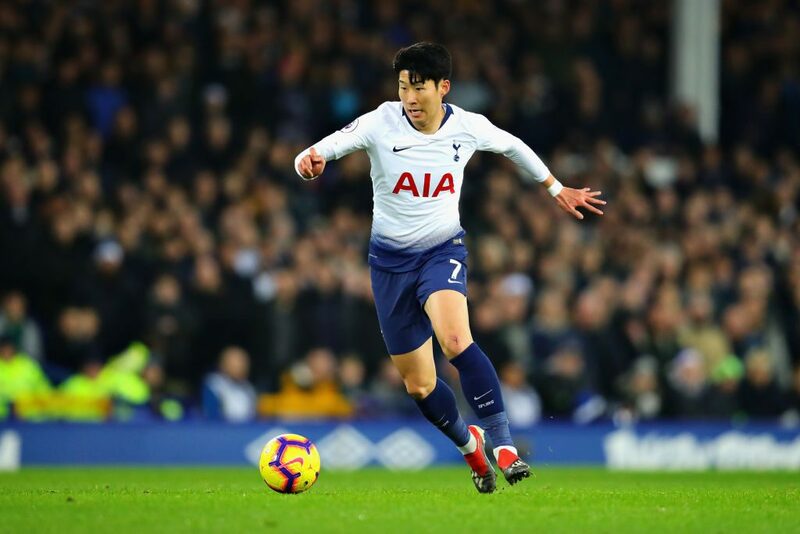 And Son showed why he will be missed by his club in January once more with an inch-perfect cross for Kane to slide in for his second of the afternoon 16 minutes from time.